A big fan of James Franco for his really funny and hilarious movie, and the trailer of this movie, the trailer of The Interview, did seriously make me more excited about this movie. Before the release of this movie, James Franco had been posting a lot of teasers and funny photographs in his social media accounts about this movie, which made me even more excited about it. 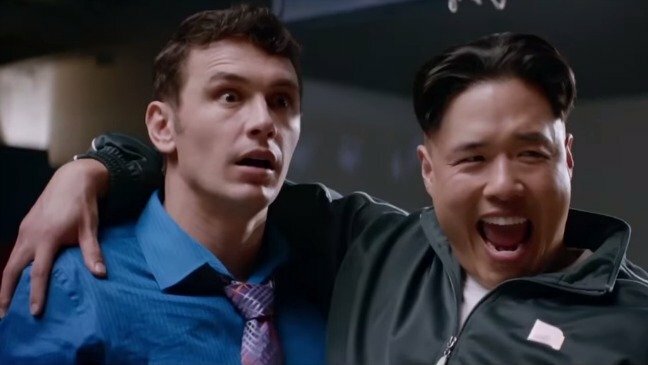 The Interview is a movie about Dave Skylark who is played by James Franco and his producer Aaron Rapoport played by Seth Rogen, who joins a mission to interview Kim Jon Un, who seems to be a dictator leading North Korea, in the tv show 'Skylark Tonight.' Dave Skylark, after interviewing tons of celebrities, seeing his show going no where to success, discovers that the North Korean dictator, who is someone who is so much talked about in the news, is a die hard fan of his show. Hence, Dave and Aaron travels all the way to North Korea to take the interview. The concept about taking an interview and having all those funny and hilarious moments were great and I pretty much laughed the entire times with those funny punch lines and jokes. But the movie reached a point when everything seemed pointless. Seth Rogen's humor seemed a little over the edge and the movie became pointlessly boring. With a great start, the movie kind of became serious and then suddenly bringing back humor in the movie made it dull. The moments when the other fun loving side of the dictator was shown, and suddenly Skylark realized he is a cruel dictator and then the viewers did expect a lot of things to happen in the interview. The name of the movie itself says 'The Interview' so as a viewer, I personally expected a lot of questions to be asked and a lot of twists to be brought in the interview, while the interview landed up being for few minutes where the dictator ends up crying and pooping his pants. They could have actually shown the North Korean people realizing the cruelty of the dictator, and then creating an uproar and added a little humor to that, but it just ended up with Franco loading a tank and shooting a helicopter, with the background music of Katy Perry's Firework. Not that 'The Interview' was a bad movie, but with the recent James Franco movies like 'The Pineapple Express' and 'This is the End', which was really entertaining and funny and hilarious, I had an expectation with which I was looking forward for the movie and I was disappointed. On a quick note, The Interview, was a good movie, funny, humorous but not amazing as what one could expect from James Franco, like in his previous movies. 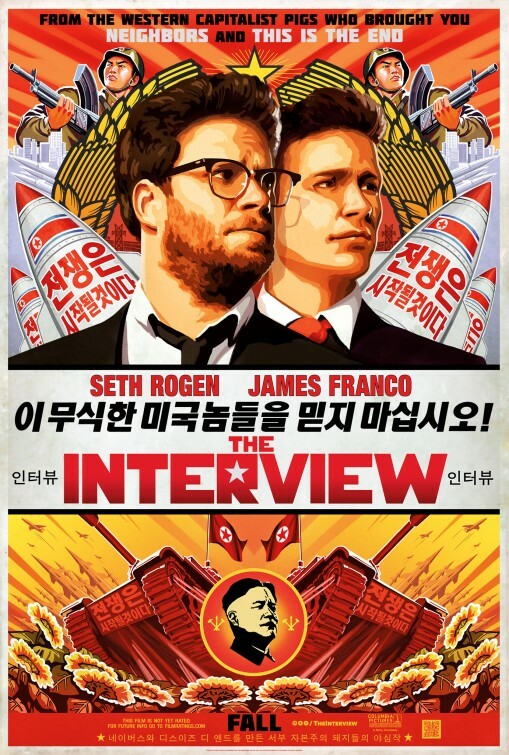 Check out the trailer of 'The Interview' below if you haven't seen it.